One of the most difficult things to do when creating a resume is condensing a career’s worth of experience down to one or two pages. This becomes increasingly difficult the longer you have been in the work force. But that doesn’t mean it’s impossible. The key is knowing which information to include, how to format your resume, and how to set yourself apart from the crowd. After all, the purpose of a resume isn’t to get you a job, it’s to secure an interview. These tips will help you write a resume that will showcase your skills, abilities, and accomplishments – whether you have a few years or a few decades of work experience. These tips will help your resume get noticed, and hopefully get you on the short list for a face to face or phone interview. This slideshow is an overview of the article. Feel free to browse it first, or even to use it on your own site. Please be sure to give attribution if you decide to share it with your readers! Hiring managers often receive over one hundred resumes for each job opening they post. No, that is not a typo. With so many resumes and so little time, they need to ruthlessly cull the stack of resumes to a more manageable short list – the select group of resumes that will get looked at in more depth, and possibly lead to an interview. There are several ways managers chop the list – the first is automated software (see the keyword section below), followed by simple manual screening – did the applicant submit the resume in the correct format, is it easy to read, are there any glaring spelling or grammar errors, is the applicant qualified? Using these filters makes it quick and easy to toss out resumes – and when there are so many applicants, the easiest way to start the process is to first look for reasons to throw out resumes, not look for the best candidate. If your resume passes muster, then it might go to the short list of potential interviews, while the others are filed in the round basket at the floor of the hiring manager’s desk. If you think that scented paper or envelopes, colored paper or fonts, or monogrammed stationery will make an impression, you’re right. Unfortunately, it’s not the right impression. These are a waste of time and money, and in most cases, they will send your resume straight to the reject pile. The truth is that most resumes today are submitted in a digital format and HR reps and hiring managers don’t want to mess around with non-standard resume formats, colored paper and fonts, or other distractions. Their time is limited and they want to be able to quickly and easily size up an applicant with as little trouble as possible. The most effective method for making your resume stand out is by using a clean and easy to read format that clearly highlights your skills, talents, and abilities. Let’s walk through some tips and examples of writing a resume that will cut through the clutter and rise to the top of that long list of job applicants who can’t be bothered to take the time to research how to write and submit a resume according to the employer’s guidelines. Let’s go. I know it sounds elementary, but it bears repeating – the little things really do matter. And they are also the easiest mistakes to avoid. You need to use proper spelling and pay attention to details when writing a resume. You don’t necessarily need to write grammatically correct sentences (fragments are acceptable and often preferable), but you do need to pay attention to proper capitalization, commas, periods, semi-colons, and other grammatical elements when called for. And always, always, always, use spell-check*. *Keep in mind that spell-check isn’t the same as grammar check, write right? Let’s assume for a minute that you have years worth of experience under your belt. Listing a career worth of experience on a resume can not only be a daunting task, it can also be an exercise in futility. The first thing you should do is decide which type of job you are looking for. That seems easy on the surface, and for many people it is. But some people have a wide variety of skills and can fit into a wide variety of job positions. Take a few moments to brainstorm the type of job you are seeking, and commit this to paper – not only for your resume, but for yourself. Think of it as your personal job statement. Keep it handy, because you will need to use this as your guiding light as you search for your next job – and create the ultimate resume. The next step is to create a master resume that captures everything you have done throughout your applicable career (note the word applicable). It doesn’t make sense to list things that aren’t related to your current job search if they happened years ago and you won’t need that experience in your next job. For example, I served for six years in the military as an aircraft mechanic. My military service was a decidedly blue collar experience, and every job I have held in my post-military career has been of the white collar nature. In my resume, I limit reference to my military experience to the dates and locations I worked in that field, and a one or two line description of my duties. Nothing more is necessary, as I am not going back into the aircraft maintenance field. Length isn’t important – yet. Don’t worry about how long the first draft of your base resume is – the purpose of this resume is to capture all of your skills and experience and serve as a foundation for the resumes you are actually going to submit. This resume could be two or three pages long, or it could be five or six pages long. It doesn’t matter – this is for you only, as the purpose of it is to help you create the resumes you will actually submit for your applications. Yes, we are creating multiple resumes here. Remember – we are going for the ultimate resume that will get you noticed, not a boilerplate resume you can blast on a job site and hope you receive a phone call or e-mail from your dream employer. *Bonus tip. You should update your master resume at least every six months, or any time you have a change in duties and responsibilities. Since this is a master resume that contains you career record, you may find it helpful to append the date at the end so you can quickly determine when it was last updated. I prefer to use a format such as yyyy_mm_dd. Creating a one-size-fits-all resume is almost universally discouraged. Most experts recommend writing resumes for each job or industry you are applying toward. But there are two schools of thought here: build a unique resume for each specific job you apply for, or make a unique resume for each field or type of job you apply for. The first option is self-explanatory. 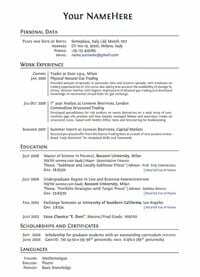 You can write a unique resume for each job application. This isn’t a problem if you are only applying to a few locations. The downside to this approach happens when you apply for many different jobs. You could spend hours tweaking multiple drafts of what is essentially the same resume. There is something to be said about leaving well-enough alone. Say you have experience as a mechanical engineer with a background in project management, quality control, and Six Sigma. If you are interested in applying for jobs which specialize in any one of those four skills, you may be better off writing a unique resume for each of these four career fields to better emphasize your skills in those areas. We’ll cover how to keep track of these variations in a later section. Writing the perfect customized resume. Start with the base resume you created earlier and tailor it for each specific position or company you are applying for. Most resumes should be limited to one or two pages, with some exceptions (see next section on length), so you will likely need to slash items from your work history. For example, you may be able to cut your first few job positions down to the company, dates worked, job title, and a one or two line summary (as I mentioned above regarding my military experience). Use the majority of the space to focus on your most recent and/or relevant work, along with your education, certifications, and skills. This takes more work, as it needs to be customized for each position, but you end up with a resume that is more applicable to the company/position you are applying for, and one that is more likely to float to the top of the stack. It can be difficult to reduce years, or even decades, of experience to one or two pages. Do it anyway. Many hiring mangers only give 10-15 seconds to a resume on an initial pass. If you have three or four or five pages, chances are very high your resume will be placed in the reject pile. * Be considerate of the hiring manager and condense your resume to the hardest hitting bullet points and most valuable skills. *The exception to this rule would be for high level positions such as C-level managers, or highly specialized jobs which may require a long list of qualifications or certifications. Use your judgment, career position, and knowledge of your specific industry as your guide. You want to include as much information as possible in your resume, but you also want it to be easy on the eyes and easy to read. Bullets are preferable to long blocks of text. A manager can quickly scan bullets on dozens of resumes, but text in a paragraph format is not as easy to scan quickly and will likely be skipped over. You can play with the formatting to reduce white space, condense lines, or make it easier to read. But don’t get too creative (unless you are in the creative arts industry or similar field, and even then, be careful). You want your resume to stick out, but not if that means it is automatically rejected as being to difficult to read or understand. When in doubt, err on the side of standardization and simplification. Need more information on creating a classic resume format? Check out this tutorial, or download their template. Bonus formatting tip: For my first post-military job, I adjusted the borders of my resume so I could fit an extra line or two on my resume. (I was using MS Word). I tested it by opening it on multiple computers, printing it on my home computer, etc. I thought it was good to go, so I submitted it electronically. However, when I went to the interview, the interviewing manager brought a copy of my resume with him to the interview and I was horrified to see that it was two pages – with the second page only containing one line of printed material! Thankfully, the interview went well and I got the job. But that was a lesson learned on my part. Don’t make my mistake! Give your resume a descriptive file name. A good example is something like, FirstName_LastName_Job_Description.pdf *. For example, if I were applying for a project management position, I would use a resume with the following file name: Ryan_Guina_Project_Manager.pdf. Remember, most resumes are submitted digitally and end up as e-mail attachments, or as part of a larger database of resumes. Using a keyword or job description in your file name makes it easier for an HR rep or hiring manager to find and remember your resume at a glance and avoid having to open it, just to see your name or which position you are applying for. The worst thing you can do is name your file, Resume.doc. That works for your own computer, where you are the only person who will see it, but it’s awful for a hiring manager who may be looking at multiple files with the same name. A generic title is much more likely to end up in the trash bin than on the short list for interviews. File Formats ~ It’s All the Same, Right? Contrary to popular belief, not all businesses use Microsoft Word, even though that is still the standard in most industries. Since not all companies use or support MS Word, using an extension such as .doc, or .docx may not be a good idea, unless it is the requested format. When deciding which file extension to use, always pay attention to requirements listed by the hiring company. Yes, Virginia, the file format does matter! Other popular formats. If in doubt, you can’t go wrong with a .pdf format, which is freely available and used by most businesses (it is also system agnostic, meaning it can be opened on Windows, Macs, and Linux machines with a free version of Adobe Reader). You also don’t need a full version of Adobe to create a .pdf – many word processors or operating systems can easily convert documents to a .pdf format, otherwise you can find free converters online. Some HR reps and hiring managers prefer to receive the resume inside the e-mail so they don’t have to spend time downloading and opening an attachment. When in doubt, ask! Submitting to a proprietary system? Use a text file. You may run into companies or hiring agencies which require you to manually enter your resume into their proprietary system (USAJobs.gov is a prime example; See their Resume Builder for tips on filing a resume with the US govt.). This can be a pain, but if it’s the only way to apply, you have to deal with their system. And if you already have a resume from another application, you can always copy/paste, which saves time. Just be sure to first copy your data into a text file first (Notepad on PC, TextEdit on Mac), which will strip formatting and extra code from your source document. MS Word is notorious for adding extraneous lines of code when copied/pasted, so first transferring your data into a text document will ensure your information is input into the system cleanly. A word about manual entries. Some companies which require you to enter your resume manually don’t have a length limit, and you wouldn’t know you were up against it anyway, since you can’t always see what it looks like in its finished format. Even though you may feel freedom without the constraints of length, it’s still a good idea to limit yourself to the items with the most impact on your resume. Focus on streamlining your resume for the exact position – remember, you want it to stand out, not be pages and pages of fluff. As we mentioned above, it’s essential to create a customized resumes based on your job search. Because of this, you will end up with multiple versions of your resume which are specific to different companies or career fields. Unless you are organized from the outset, you may lose track of which resume you sent to which company. This would be a bad thing. Following a standard naming convention* allows you to easily find the exact resume you need when you receive a call back or phone interview. And if you need to apply for another project manager position or similar job, you can grab this version and tweak it for a different company or related job description. Remember, there is no need to recreate the wheel – use shortcuts when it makes sense! One thing I don’t recommend doing is including the company name in the file you send to the company. It could come across as presumptuous or as though you are shotgunning your resume. *There is no universal naming convention. Use what makes the most sense to you. For example, you may prefer to append something like v1.0, v1.1, etc. at the end, or use a date convention, such as yyyy_mm_dd. Until now, we’ve only discussed formatting, file names, and length. These are all essential, as ignoring these items may get your resume tossed before it is even looked at. But if your resume doesn’t have legs, it can’t stand. So you need to fill it with your skills, abilities, accomplishments, education, awards, and anything else which might sell you as the perfect employee for the job you are applying to. The two most important things to remember are to stick to the facts and sell yourself. (Seriously, don’t get caught in a lie; nothing good will come from it). A few words about lying on your resume: Don’t do it. This rings true regardless of whether you are applying for an entry level position or you are applying as to a C-Level job at a Fortune 500 company. Scott Thompson, the former CEO of Yahoo, was ousted after only 4 months on the job after Yahoo determined he lied on his resume. It’s not just high ranking people who falsify their resumes and bios. The same thing can happen to you if you submit a fraudulent resume for a job application. Most companies and hiring managers do some sort of background check when they hire employees. It may be as basic as a criminal background check, or, for higher level positions, it can be as deep as a full background check, including verifying your resume and educational background. The safe thing – both professionally and morally – is to always be truthful when writing your resume. The last thing you want is to be hired, only to be fired shortly afterward for a fraudulent resume. You would not only lose the job you just got, but potentially lose out on other positions, either those which you declined interviews for after you got hired at your new job, or from other companies which would decline to even interview you if they got wind of your lack of ethics when you applied to your former position. And don’t dismiss the last possibility – some industries are very tight and many of them have contacts at other companies. I’ve worked in some of those industries where news travels very quickly and it is easy to see your professional stock rise or drop very quickly. Falsifying your resume is just not worth damaging your personal or professional reputation. The most common type of resume is the chronological resume, which lists your jobs and accomplishments in reverse chronological order. This is usually the preferred format as it is the format most hiring managers are familiar with, and it lists your most recent accomplishments first. The next most common type of resume is the functional resume, in which you list your skills first. 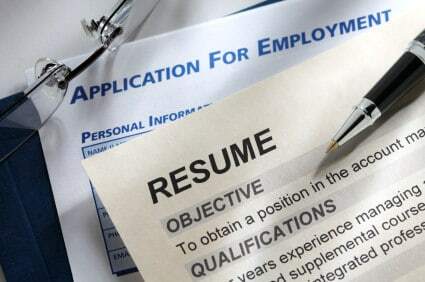 Functional resumes are generally best for applicants who are changing industries, don’t have an extensive work history, or have a long employment gap (unemployment, going back to school, etc.). A hybrid resume is another option to consider. This option combines the two previous formats by using a more extensive summary which includes a more in-depth list of skills, followed by a reverse chronology of work history. The key is to find a format which best highlights your work experience. Note: These formats work for most industries, but are not universal. Your resume should be constructed based on industry standards and expectations. A tech resume, for example, might be formatted slightly differently, as the emphasis is on skills and proficiencies. Keywords are good; spam is not! Pay close attention to the job description when creating your tailored resume. Each job listing will have a list of keywords in the job description. It’s a great idea to use some of these exact phrases in your resume, as long as they represent your skills and abilities, of course. Why is this a good idea? Because many HR departments use software to screen resumes to lessen the load on the hiring managers. The more keywords your resume matches to the job description, the more likely your resume will float to the top and be read by a human instead of filtered as not being a match. Don’t use this knowledge to spam your resume if you don’t have the skills. Instead, use this knowledge to rework and refine your resume to make it more in line with what the company is looking for. Your contact information is straight forward – list your name, address, phone number, and e-mail address*. You can also include your personal website, LinkedIn profile, or other social media profiles if applicable. In most cases, your boss doesn’t need to see your FaceBook page. But including a link or url to an online resume or portfolio may do wonders, especially if you are in a creative industry and need to show examples of your previous work. Your LinkedIn profile may also be a way for a potential employer to do further research into your professional background and could lead to you being hired. In all cases, only include this information if you are presenting a professional image. Most resume templates include a section for both the Objective and Summary. You can almost always kill the objective statement without hurting your resume. Most objective statements are obvious, and you waste space that could be used for more important information, such as your actual skills and accomplishments. The Summary statement is also something I have seen people recommend scrapping. I’m in favor of keeping it, so long as you make it useful and keep it concise. Only include strong statements about your top-level qualifications and be sure to use this section to include keywords from the posted job description, as this will help your resume get through automatic filters. Tip: Use this space to show the company what you can do for them, not to tell the company what you want from them. If you are fresh out of college, it’s essential to use anything you can use to your advantage to set you apart from others. So you will likely want to include things such as the university you attended, location, degree achieved, college major, minor, GPA, student activities/clubs/groups (especially if you held an office, such as club president), awards, and even scholarships or internships if relevant. Once you have a few years of experience under your belt, some of your school activities and other education and training are no longer as important as what you have accomplished in your career and you can limit your education to the university, major, GPA if solid, and anything that sets you apart. Professional certifications can help you get hired! Always list any relevant skills and certifications which are applicable to your job search. This includes things like professional certifications, language skills, tech skills such as software or programming, etc. It is also a good idea to include your relevant professional affiliations, such as trade groups, industry affiliations, and similar professional groups. These show that you are active in your professional growth and are more likely to be up to date with trends and technological advancements in your industry. You can also use this section to include professional training you have taken which may be relevant to your job search. Be as specific as you can when describing your job title, tasks, duties, and accomplishments. If you trained new employees, then be specific: trained 15 new employees on internal standards and practices. If you saved the company money or time, then try to quantify it. Quantifying your skills and abilities can go a long way toward helping you get the interview, get the job, and negotiate a higher salary. The second one, right? Even if you remove the staggering sum of $1 million, it sounds more impressive, because it is concrete. The goal here isn’t to oversell yourself or to brag, but to put some scope into your past work experience. Acronyms are commonly used in many industries and workplaces. But that doesn’t mean they always translate across career fields and employers. If you are using acronyms, be sure they are industry standards which represent certifications or commonly understood topics. If in doubt, it’s almost always best to spell it out first, then use the acronym in parenthesis. Then you can use the acronym throughout the resume. Example: If you are applying for a project management position, you can write this in your resume, Project Management Professional (PMP) certified. Future references to the certification can be listed as PMP, without spelling it out. There are two sides to the argument with adding things outside of your normal work duties. Some people recommend sticking with only those items which relate to work. Other people say it’s OK to include outside activities. I’m in the second camp, provided the items you include help you stand out from the pack. Listing your volunteer activities may also be another way to help your resume stand out. Just make sure that whatever you include in this section shows an employer additional skills you bring to the table. What digital resume? You mean you don’t have one? You should. A large percentage of employers perform an informal background check on job candidates. A quick Google search can save an employer a lot of time and money if it helps them weed out the wrong candidates before spending time or money interviewing them, or worse, hiring them, only to find out they aren’t the right person for the job. Go search for your name in Google. When I search for my name I see a variety of articles I’ve written, websites I own, and social media profiles. Any prospective employer can quickly and easily find the same thing. Make sure all your public profiles are professional in nature. Want more information on creating a digital resume? We wrote another 1,600+ word resource on creating video and digital resumes, including how and where to do it (there are a surprising number of free resources to create and upload your video resume or portfolio). So we won’t recreate the wheel in this article. Just know that having your resume available in different formats and locations increases the likelihood of it being found, and the more engaging it is, the more likely you will be contacted for an interview. The vast majority of job openings never get posted on public job boards, as many jobs are filled internally, or via recommendations from current employees or headhunters. Because of this, your personal and professional network is the best place to find a job. Not only that, but they can be the best source for reviewing your resume and offering advice on where it can be improved. The bonus is that when you are asking for someone to review it, they may put it in front of someone who is looking to hire someone, or who knows someone who is hiring. The more people who see your resume when you are looking for a job, the better. The job markets are very competitive right now, so you need to do everything in your power to set yourself apart from the pack. Your resume is one of the first ways to do that. Treat your job search, resume writing, and interview preparation as a full-time job. It is that important. Put in the time, create an excellent resume, and be prepared when you are called in for an interview. Be sure to update your resume every few months to reflect your current skills, abilities, and accomplishments. This will make it easier to apply to jobs in the future. We’ve covered a lot in this article, and I hope this has been helpful for you. Click on the links throughout the article for further information on crafting your resume, or leave a comment with questions or tips you have for others. This is an epic resource, Ryan. And coming just at the right time. With hopefully an improving economy, many of the currently underemployed will be encouraged to take these steps and get a good job. Nice work! Thanks, Phil. I hope it helps people put their best foot forward when searching for employment. Wow, this is awesome! *bows down* I’ll forward this to some friends (and my readers) that need it! I have seen many resumes that span over one page and personally hate them. When reviewing a stack of resumes ( the jobs I have helped interview for have received over 100 qualified applicants) its important to convey your profile in a brief, concise manner. I like the resumes which have a summary upfront highlighting the relevant parts of their profile. This is an amazing mega post , bookmarked it for inclusion in the summary emails we send to our readers for best post in personal finance. Great resource, Ryan! Incredible! I’ve been thinking about dusting off my resume more and more lately, but I always put it off. This is just what I need to brush mine up. I guess that it is a great idea to have one that’s a 90% solution at all times so you can remain flexible and ready to go at a moment’s notice. 2. I agree that you only have 10-15 seconds, so you need to pull your most signigicant achievement statements(not more than 6) and put this right under your Summary. Use this to grab their attention and make them want to read the rest. If your best stuff is later and they never read it, what good is it? 3. Leave memberships in groups out unless it is a leadership position. Just saying you are a “member” is not meaningful. Bob, as we stated in the opening few paragraphs – the resume isn’t designed to get you a job – it’s designed to get you an interview. Networking and interpersonal relationships are, and will almost always be the most effective way of getting an interview, but there are times when a resume is required, and these tips can help improve their resume and hopefully get called into an interview. This article can also be helpful: How Hiring Managers Screen Resumes. Michael, there is a template linked within this article. I recommend downloading it and trying that template out, along with some of the other tips you will find in this article. If you don’t like that template, then try using a search engine and typing “resume template” into it. You will find hundreds of examples. Try a few out until you find one that works for you. You can also try sharing a few templates with friends, family members, or coworkers to get a better idea of what works best for your situation. I don’t understand why someone with as much experience as Scott Thompson would feel compelled to lie on his resume. What value could a computer science degree add? I suspect Yahoo was having a bad case of buyer’s remorse and looking for an excuse to can the guy. I agree Shawanda – there wasn’t much to be gained by adding a fictitious undergrad degree. I think the issue goes beyond just buyer’s remorse though – by certifying the filings with the SEC, Scott Thompson committed fraud, which is a definite cause for termination. It is difficult to answer to shareholders when you have a CEO who has been caught violating ethical standards. On top of that, there were minority shareholders who were looking to get onto the board of directors to establish a greater voice in the future direction of the company. When you put it all together, there was more than enough reason to give him his walking papers. On the other hand, I can not find a date stamp anywhere? The only text I now of that is eternally accurate is scripture. 🙂 Thus, knowing how old this post is, when it was updated to change with the times, etc. is always of utmost importance to me for most any website information. Took me a while to find that USAJobs.gov resume builder from your article.